As we get close to the release of Digimon Kimero! Card Slash, the Battle Spirits Digimon set based on Digimon Tamers, we've been getting more images, and now they've announced some tournaments! 'Collaboration Booster Cup' tournaments will take place at a number of stores to celebrate the release of the new booster set and starter deck. These will take place at various stores between November 24th and December 2nd and cost 2,000 yen as an entry fee. A set of 40 Battle Spirits flash card sleeves. 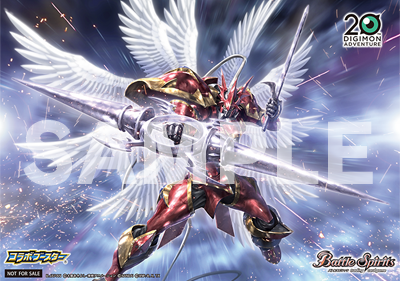 This is also our best, and cleanest, look at the Crimson Mode art from Battle Spirits. Stores taking part are listed on the event page. Battle Spirits CB07 Digimon Kimero! Card Slash! will be released November 24th. 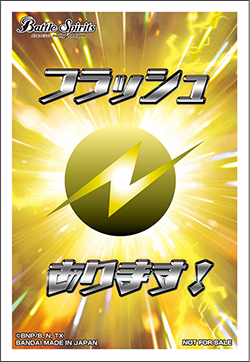 We've been adding full and proper card images to this thread as we've been getting them, including the just added Beelzebumon Blast Mode.